U.S. 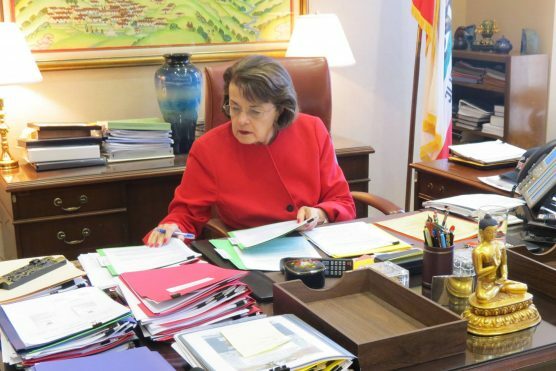 Senator Dianne Feinstein (D-Calif.) released the following statement after House Republicans passed proposed tax reform bill HR 1, the Tax Cuts and Jobs Act, on Thursday. “The Republican tax cut bill was written to help the rich at the expense of the middle class. That’s the bottom line, and that’s why this bill needs to be voted down. “The main priority for Republicans is permanent tax cuts for rich individuals and big corporations. In return, they’re offering long-term tax increases for working families and an attack on the Affordable Care Act. And that’s just not acceptable. Meanwhile, millionaires would see a tax cut of $5.5 billion. This is appalling. “Californians will be hit especially hard by the elimination of the state and local tax deduction, or what we call SALT. The six million California households that claim the deduction could either see their tax bill go up or see cuts to vital services like schools and roads. Middle-class communities simply can’t afford to lose this important deduction. “In order to cut taxes for the rich, Republicans want to add almost $1.5 trillion to our deficit over the next decade. The increased deficit will quickly become an excuse for Republicans to make drastic cuts to Social Security, Medicare and Medicaid in the future. Americans who benefit from these essential programs shouldn’t be the victims of tax cuts for millionaires and billionaires. The U.S. Senate is expected to take up its version after the Thanksgiving recess. Not seeing it. But we do see some strange comments from people who don’t seem to realize we’re in California (the bluest state of all). Jeff Barkes, business mileage is all deductible. Continue to grow the biz. Hello. Doesnt quite answer the question Gus Garcia Jr. as to which tax “plan” will effect the lower/middle class of California more however of all the people I have asked that to, no one wants to seem to give me an answer! Its shocking to see how some people live life so close-minded. Those people are the problem with the world in entirety.